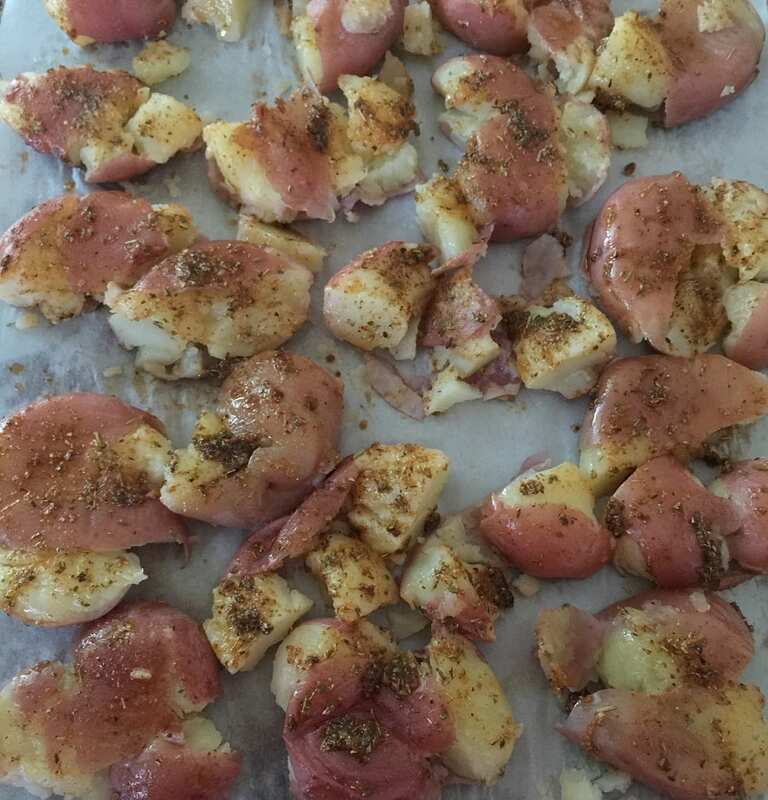 To make this dish, I parboil baby potatoes with skin on. 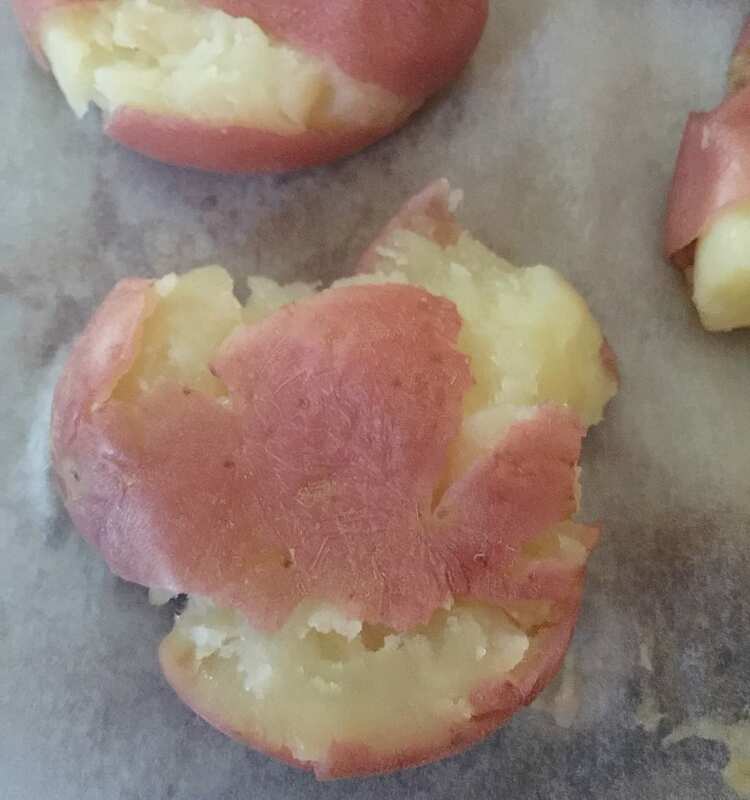 I then place them on a baking tray and gently pressed with a wide spoon. 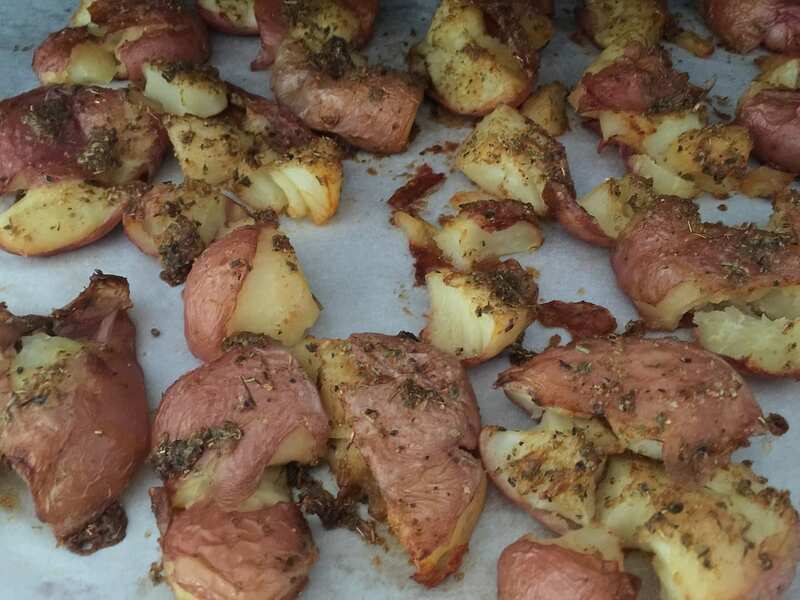 I rub the potatoes with homemade cajun seasoning and bake them till golden brown. 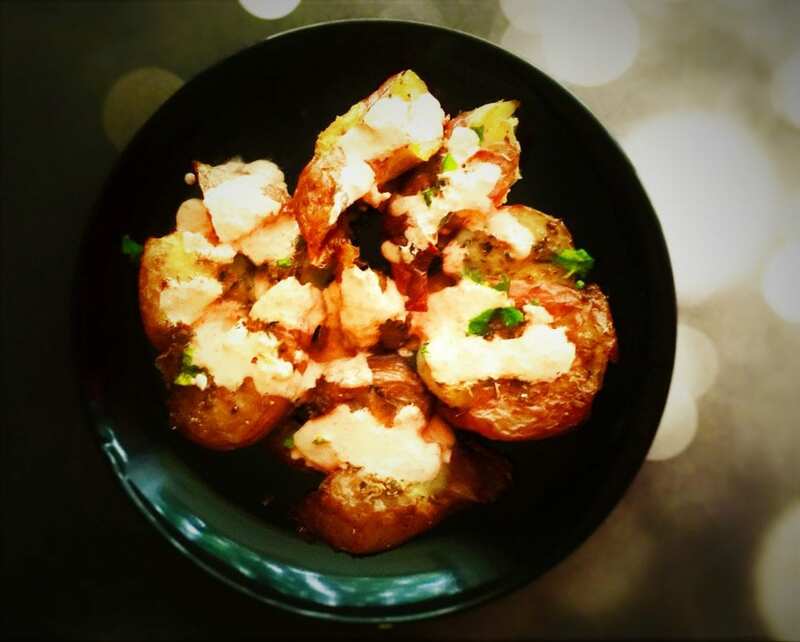 Topped with roasted capsicum and sour cream dip, these little bites of potatoes tastes absolutely delicious.